Dragon’s Teeth is a sporadic formation of rocks rising from the wet moorland and bogs of the Aberdares. It offers a technical climb prep in anticipation of climbing mountains like M.t Kenya, Kilimanjaro or Rwenzori. Satima is considered the highest peak on the Aberdares ranges standing at 4001m ASL. 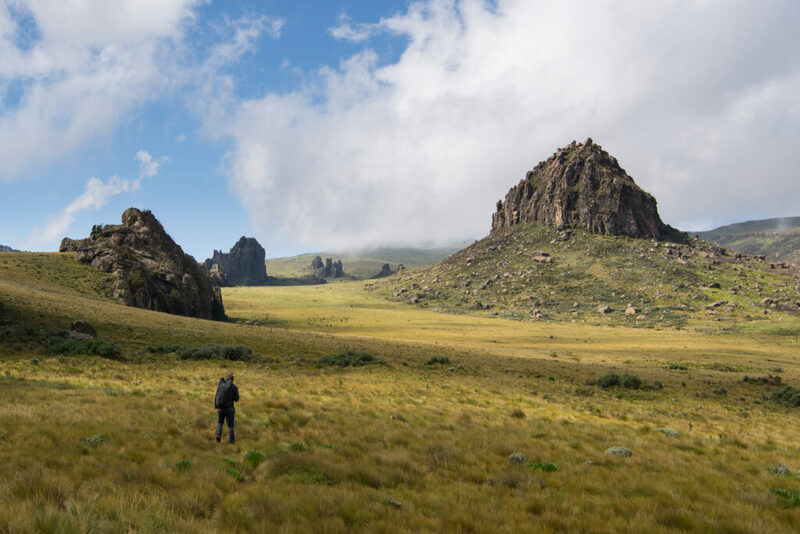 Table Mountain has an impressive elevation of 3817m ASL and is located on the North West part of the Aberdares once you summit you get to enjoy amazing views of Mt. Kipipiri and the elusive and tough Rurimueria Hill. Terrain: Un-marked moorland trail with huge tussock grass and bog/marsh in some areas. Meet for Departure at 0430hrs in the morning promptly. We drive north from Nairobi and a few kilometers after Nyeri, branch off towards the mountains. Be prepared for a long drive generally as the mountain roads take time to climb. 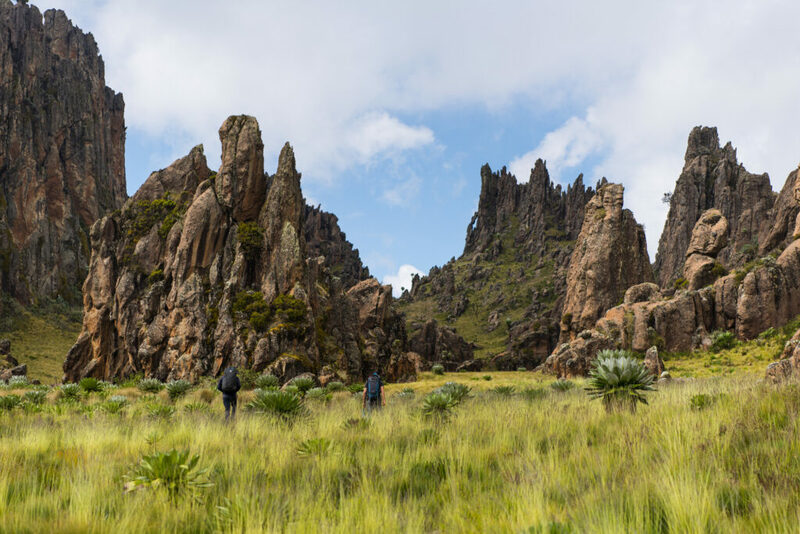 Ascend 12km in the mountain to reach an altitude of 3450m at the Twin peaks point.From here you can hike the nearby Chebuswa and then proceed on to the Dragons Teeth with stunning rock formations.Camp for the night at the Dragons Teeth deep in the mountains. Remember to carry snacks to complement the light meals. Rise up to the amazing Northern Aberdares moorland. Bank east towards the high ridges and head towards Satima peak to arrive early before noon. After picnic lunch on the highest peak in the Aberdares then west towards Table Mountain passing interesting rock formations and undulating valleys of tussock grass. Camp at a sheltered point below on the Moorland. Rise up to summit the Table Mountain to enjoy the great views of Kinangop to the South. Proceed to descend south towards Wanjohi where the vehicle will be waiting for you by the forest line. Depart South to Nairobi to arrive early in the evening. For Payments and Booking click on the ” Price and Booking ” Tab above.